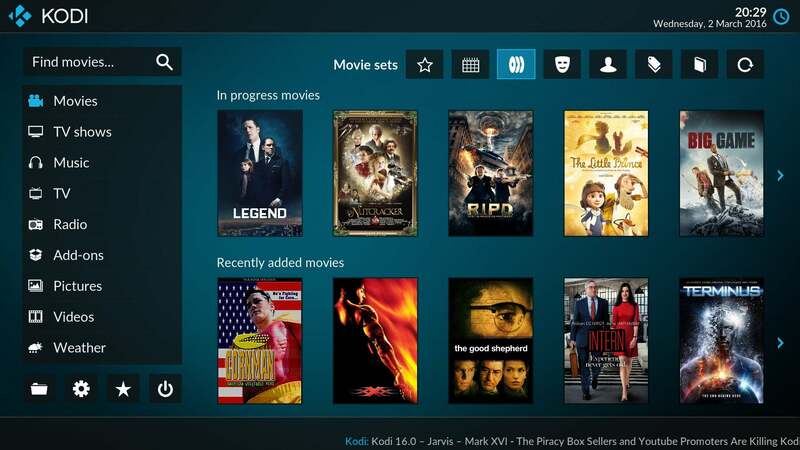 Kodi, one of our favourite home theatre apps, has used the same Confluence skin as its default since 2009. Now, there's a new skin in town and it looks pretty sweet. Technically the new Kodi interface is two skins. The first, Estuary, will eventually replace the default interface for all new installs of Kodi 17 and up from here forward. If you want to try it out on an existing Kodi installation, you'll need to make sure you're using Kodi 17 (codename Krypton). The current stable release of Kodi is still in version 16, but you can find the early access developer builds here. The second skin is called Estouchy. While the look and feel are largely the same, Estouchy is designed for a mobile interface with touch input (naturally), which is something Kodi has severely lacked. The previous Re-Touched skin has been OK in the meantime, but this brings two separate skins into a single design language that you can use across devices. It's a nice step in the right direction, and the new skins look pretty great, too. Any ideas on an "Estuary-esque" skin for those of us only able to use Kodi 16? (Amazon FireTV Stick, using an app which is essentially Kodi, but able to be launched through the standard launcher - you don;t have to side load it). ?